A new low-cost and non-invasive eye test could detect Parkinson’s disease before symptoms including tremors and muscle stiffness develop, according to new research led by scientists at UCL. Researchers at the UCL Institute of Ophthalmology have discovered a new method of observing changes in the retina which can be seen in Parkinson’s before changes in the brain occur and the first symptoms become evident. Using ophthalmic instruments that are routinely used in optometrists and eye clinics, the scientists were able to use the new imaging technique to observe these retinal changes at an early stage. This method, published in the journal Acta Neuropathologica Communications, would allow earlier diagnosis of Parkinson’s and also could be used to monitor how patients respond to treatment. The technique has already been tested in humans for glaucoma and trials are due to start soon for Alzheimer’s. 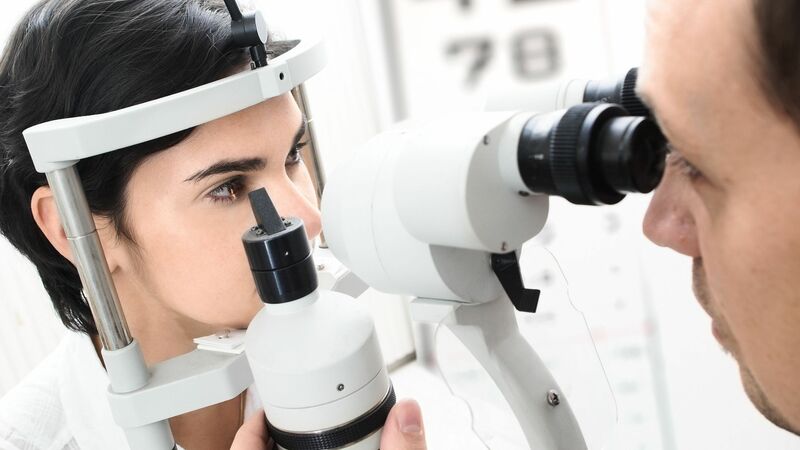 “This is potentially a revolutionary breakthrough in the early diagnosis and treatment of one of the world’s most debilitating diseases,” said Professor Francesca Cordeiro, UCL Professor of Glaucoma & Retinal Neurodegeneration Studies, who led the research. Parkinson’s disease affects 1 in 500 people and is the second most common neurodegenerative disease worldwide. Symptoms typically become apparent only once over 70 percent of the brain’s dopamine-producing cells have been destroyed. The condition results in muscle stiffness, slowness of movement, tremors and a reduced quality of life. “These discoveries have the potential to limit and perhaps eliminate the suffering of thousands of patients if we are able to diagnose early and to treat with this new formulation,” said first author Dr Eduardo Normando, Consultant Ophthalmologist at Western Eye Hospital and UCL. “The evidence we have strongly suggests that we might be able to intervene much earlier and more effectively in treating people with this devastating condition, using this non-invasive and affordable imaging technique”, said Dr Normando. The technology is being patented by UCL’s research commercialisation company UCL Business. “The retina as an early biomarker of neurodegeneration in a rotenone-induced model of Parkinson’s disease: evidence for a neuroprotective effect of rosiglitazone in the eye and brain” has been published in Acta Neuropathologica Communications.